You will only be allowed to register your company name if it is unique. You cannot register the same name as an existing company or one that is too similar. Our online search tool will tell you if your company name is available. It will also flag up potential problems with sensitive words. These are words like ‘bank’ or ‘insurance’ which can only be used by properly regulated companies. There is a full list of sensitive words in our company name guide but our online company name search tool will tell you if your chosen name contains any. If your company name is available and there are no sensitive words in it then you should be good to go. However, there are a couple of final checks you should make. If your new business is going to have any kind of presence online, like a website or email, then you will want to check that the domain names are available. Our online company name search will do this for you. 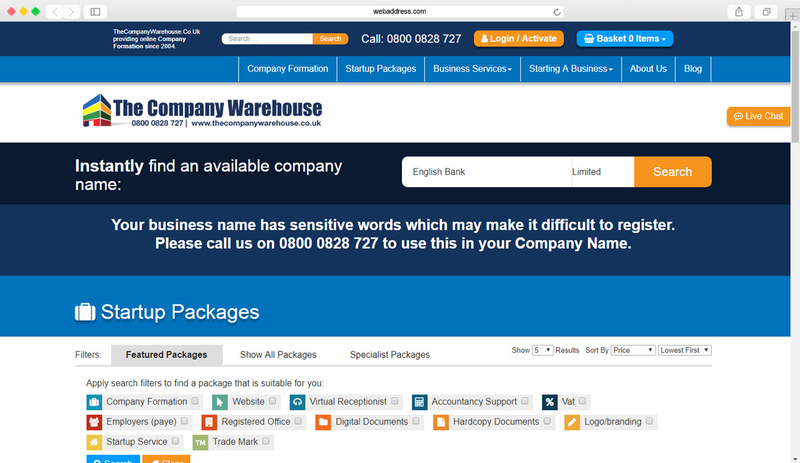 TheCompanyWarehouse.co.uk company name search tool automatically flags sensitive words in company names. The government will allow you to register company names which breach other people’s trade marks and intellectual property. In the past we have had people registering companies like ‘Twitter UK Ltd’, ‘Microsoft Technical Support Ltd’ and ‘Virgin Spacecraft Ltd’. None of these people was anything to do with the real Twitter, Microsoft or Virgin and they very quickly got letters from some very expensive lawyers telling them to stop immediately or get sued. These are extreme examples but it is easy to accidently use a name someone else has ownership of. There are a few steps you can take to reduce the chances of getting yourself in trouble. Do a Google search for the company name you want – I know that sounds a little silly and basic but you would be surprised at the number of people who don’t do this when registering a new company. 76% of businesses in the UK are sole traders. 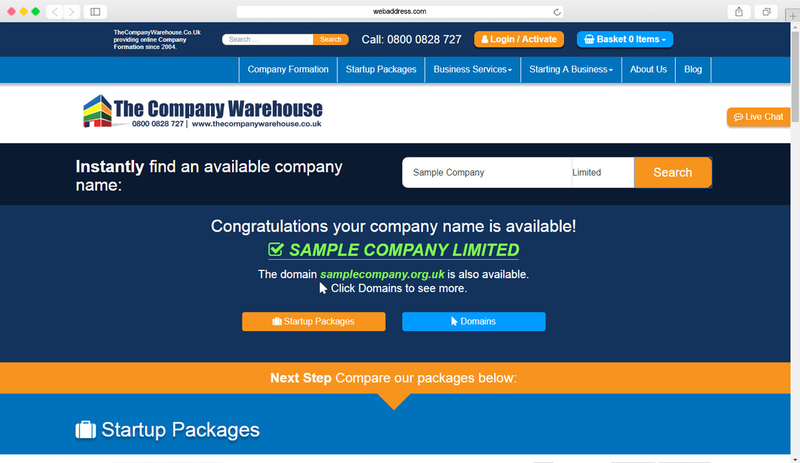 They do not have to register their business name anywhere and they won’t show up on the Companies House name search. However, if they have any kind of established brand name then they are likely to show up in Google. Doing a Google search for your company name will also let you see what other websites might show up when your customers are trying to find your business. Check social media – Virtually all businesses will want to have a presence on Facebook, Twitter and the other main social networks. You will therefore want to make sure that the Twitter handle and Facebook usernames that match your new company name are available. As well as helping your future marketing efforts this will also help you identify any companies or organisations who might already be using your company name. Search for Trade marks at the IPO – Trade marks are the strongest form of protection available for company and brand names in the UK. Trade marks can be registered in 45 different classes which relate to different industries. Two companies can register the same name as trade marks as long as they are in different classes. So, when you do a trade mark search you need to ensure that you are checking all classes that are relevant to your business. 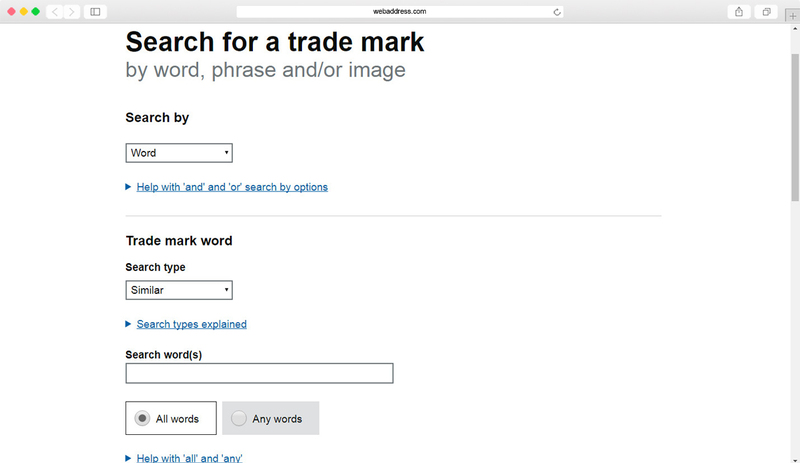 The IPO trade mark search gives you a lot of options, you can search by words or images and can search different date ranges and by different types of matches. You can also select which classifications you want to search for. 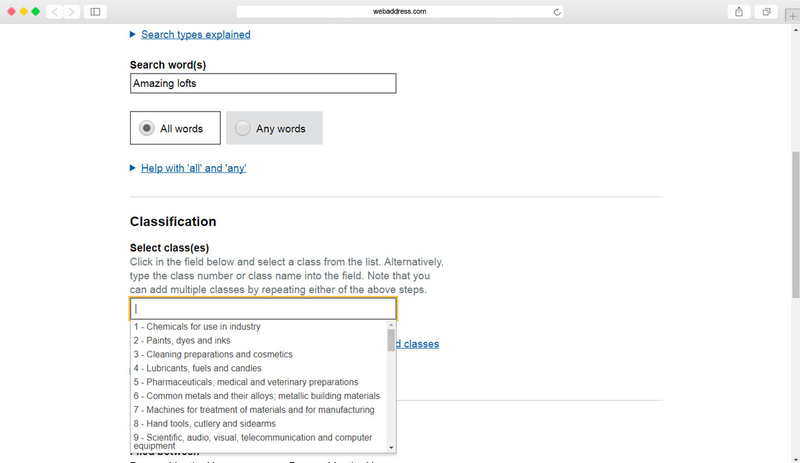 If you try to search all classes then it will often give too many results to be displayed. If a trade mark is found that matched your criteria you will be shown a list of the trade marks and what classes they are registered in. 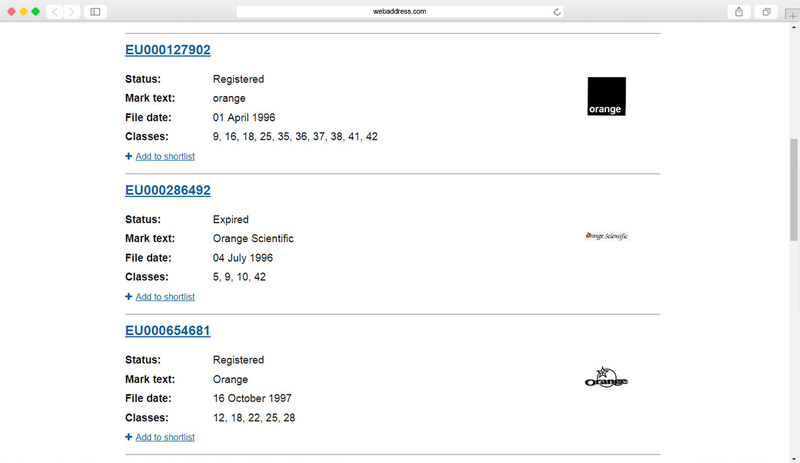 In this case we have searched for the word ‘orange’ and we can see that there are multiple trade marks registered across a range of different trade mark classes. Assuming that all of your different checks on the company name don’t highlight any conflicts or potential problems then you can move ahead to the next stage.